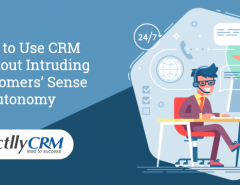 People often think of a CRM as a contact management solution with a few other features that help them to manage their clients and customers better. In reality, a customer relationship management (CRM) tool is a lot more than just this. Powerful CRMs come with a plethora of features that can help manage businesses remotely. 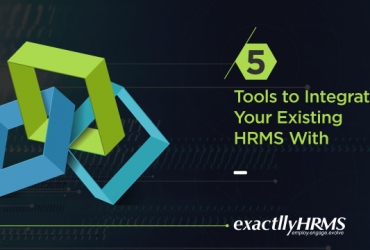 When a CRM lacks something, it can easily be integrated with another software program, such as an ERP or HRMS. 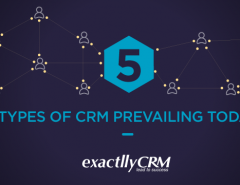 In this article, let us take a look at six things that a CRM can do, but you didn't know. Customers often initiate contact on one platform but return again on another. If you do not keep track of the circumstances under which they contacted you first, you will not be able to track their buying journey. With social media, websites, email, live chat, and telephone all playing a role in providing customers with a platform to contact you, it is easy to lose track. 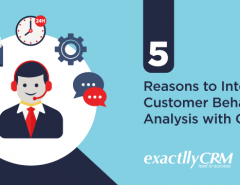 A CRM keeps track of all these conversations and gives you the larger picture of who the customer is, what they spoke to you, and when. Customer service gets better and does lead nurturing, with a tool like CRM. It is always important to know what your competitors are doing and how key players in your industry are faring. One way to do this is to observe and track their social conversations online. A CRM helps you identify these key players and keep track of their social media accounts so that you can actively listen to what they are saying. This helps in brand monitoring as well, which is crucial in understanding the market you serve and how it affects you. With a CRM, you can engage in brand monitoring so that you can rectify mistakes, and develop better marketing and sales campaigns. One of the biggest problems that companies face today is the lack of communication between departments. This is especially evident in sales and marketing departments, where teams often do not communicate and run parallel campaigns that ultimately do not fetch adequate results. Though sales and marketing are two different functions, sharing data and insight with each other is very important to run campaigns that actually work. A CRM acts as a bridge between your sales and marketing teams, and aids in launching more informed campaigns. With Bring Your Own Device (BYOD) policies encouraging staff to use their own cellphones and tablets, it makes sense to use software programs that can be used across devices. Most contemporary CRMs have their own mobile applications or are accessible via mobile browsers. You can ensure security by limiting access and setting up remote erasure of data. Using a CRM on your mobile helps you take your business everywhere, and your staff can do so too, especially if they work in the field. CRMs come with complex statistical and data processing features which help you churn numbers and derive insight. In addition, you can conduct market research and surveys using email forms and social media tools. As all your contacts are segmented and saved based on a number of criteria, sampling your research population is very easy and efficient on a CRM. CRM tools can be integrated with more advanced data analytics tool to derive richer insights that help you develop better campaigns and predict trends in advance. Of course, this is an exaggeration because a CRM is primarily a software tool that helps you manage relationships with your customers. It cannot, for instance, manage your inventory or assist you in automating payroll functions. If you wish to add more features to your CRM, that is certainly possible. In fact, you can add any feature you may imagine by implementing CRM software integration. 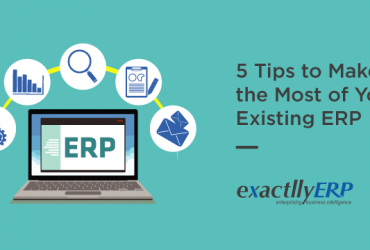 You can choose between hundreds of software programs including ERP, HRMS, document management tools, advertising and marketing automation tools, etc. Certainly, a CRM does a lot more than just manage your customer contacts and provide better customer support. It helps you access valuable insights and view each customer's queries right from the time they first contacted you, regardless of the platform. In addition, you will be able to monitor your brand better and listen to social signals, while enhancing collaboration between sales and marketing teams. If you still need more features, easy integrations exist for practically every feature you can think of. Most importantly, you can gain access to all the features that a CRM provides right on your smartphone. It is no exaggeration to say that a powerful and versatile CRM can bring your business great success.